All staff photos published in the Record-Eagle print edition during the week of October 11-17, 2009. Note: Some photos may not be available until late afternoon on the day published. Photos published on Saturday and Sunday may not be available until Monday. 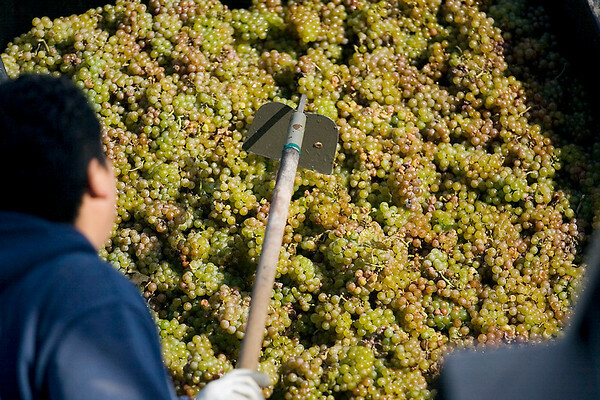 Jesus Martinez loads riesling grapes into a crusher to remove their stems before being pressed on Wednesday morning at Black Star Farms on Old Mission.